A' Mhaighdean and Ruadh Stac Mor from Beinn Tarsuinn; 7th June 2009. Perfect May conditions on A Maighdean. The classic view over Fionn Loch towards the coast at Loch Ewe. 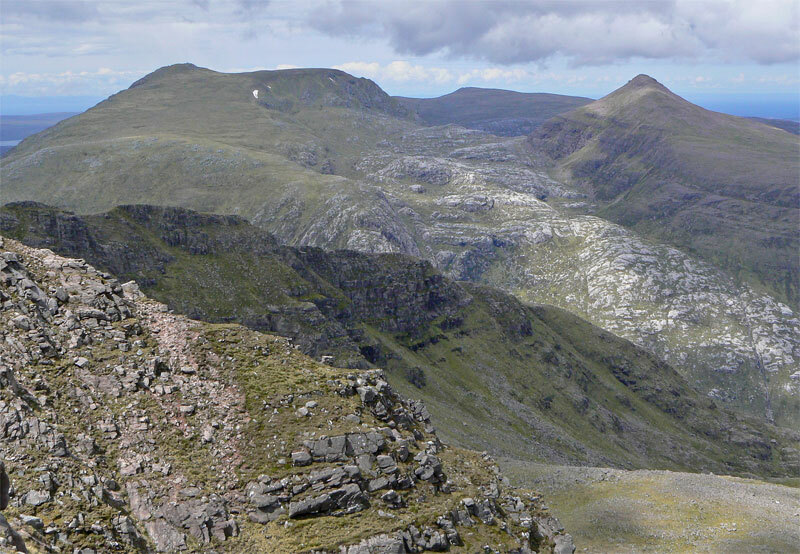 A view North from the summit of Slioch showing the real wilderness nature of the Letterewe and Fisherfield forests. 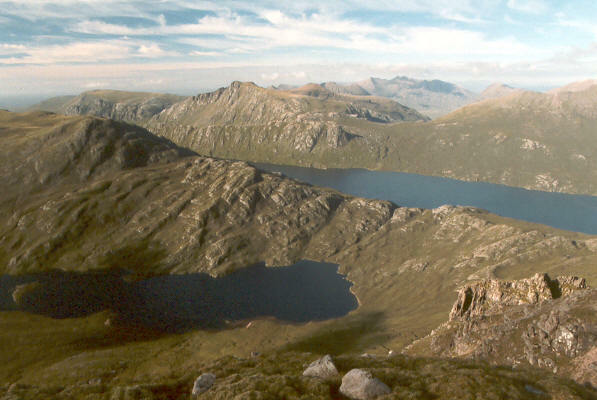 A'Mhaighdean can be seen slightly left of centre beyond Loch Garbhaig and Lochan Fada. 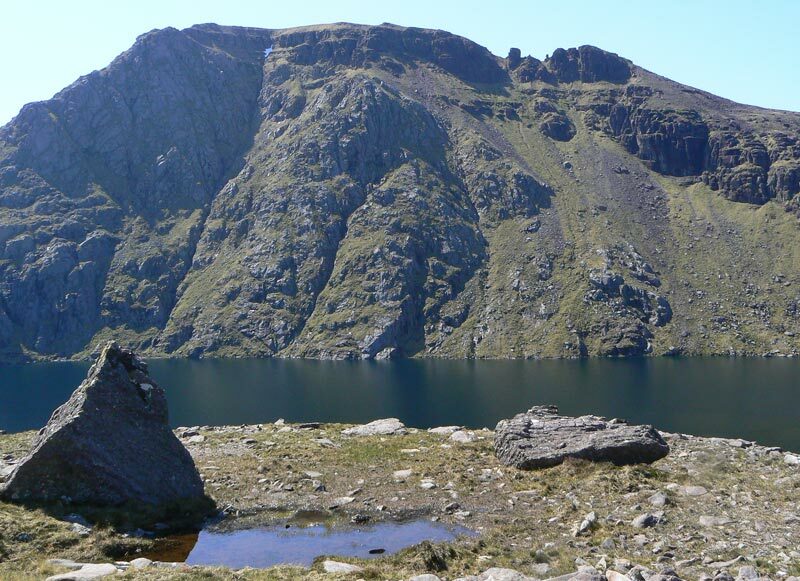 A' Mhaighdean and Fuar Loch Mor; 27 May 2012. 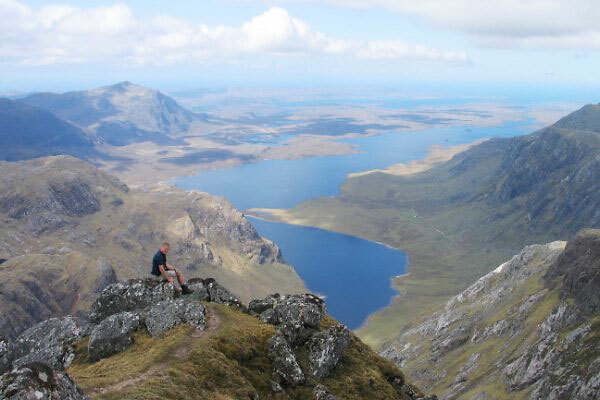 The summary information of one or more ascent routes that include A' Mhaighdean. 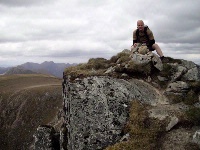 1 1678 m 44.06 km 12 hrs A' Mhaighdean and Ruadh Stac Mor Long strenuous route to two remote craggy mountains. There are routes between the crags so the need for scrambling is reduced. Cycling will shorten the time, but still a very long day. 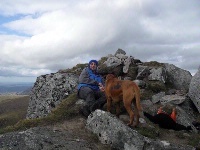 Summit of A' Mhaighdean, 5/6...Karl's 100th Munro, well done!...3,6,12. Myself and Ronnie on the summit of A' Mhaighdean after a night in Carnmore bothy. Lynda at the summit of A' Maighdean (14th May 2011) Rhuadh Stac Mor behind disappearing rapidly, and about to be hit by ferocious hail storm on descent. Post a few words about A' Mhaighdean or read what others have had to say. We done this route in June 2007, our second attempt. A perfect day. We cycled in to Kernsary making it a lot easier than the first time. Everywhere was dry so crossing the stream flowing out of Fuar Loch Beag was easy. On our first attempt we couldn't get across.The climb up A'Mhaighdean's north west ridge is brill, which you don't see on any other route. Fantastic day. 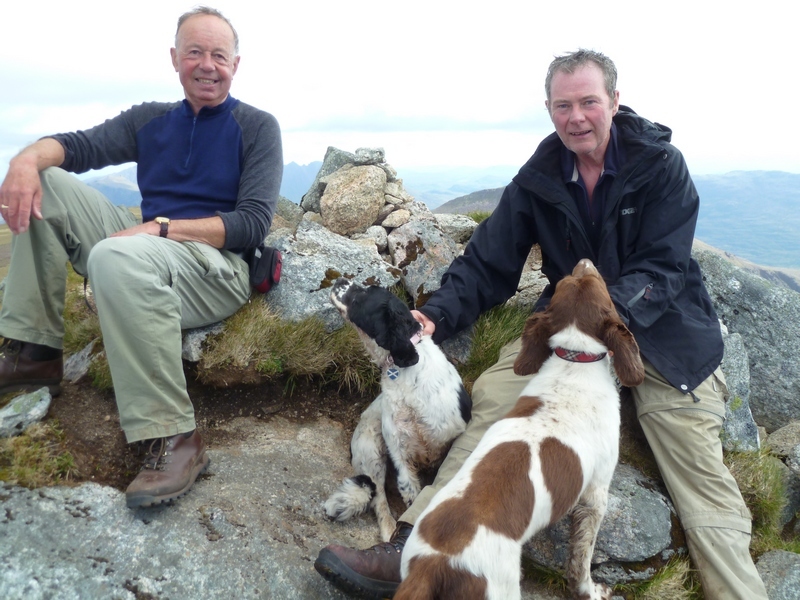 After walking in from near Shenaval and camping 1km North of the summit (by Fuar Loch Beag) this was the first summit of an epic 12 hour Fisherfield day. 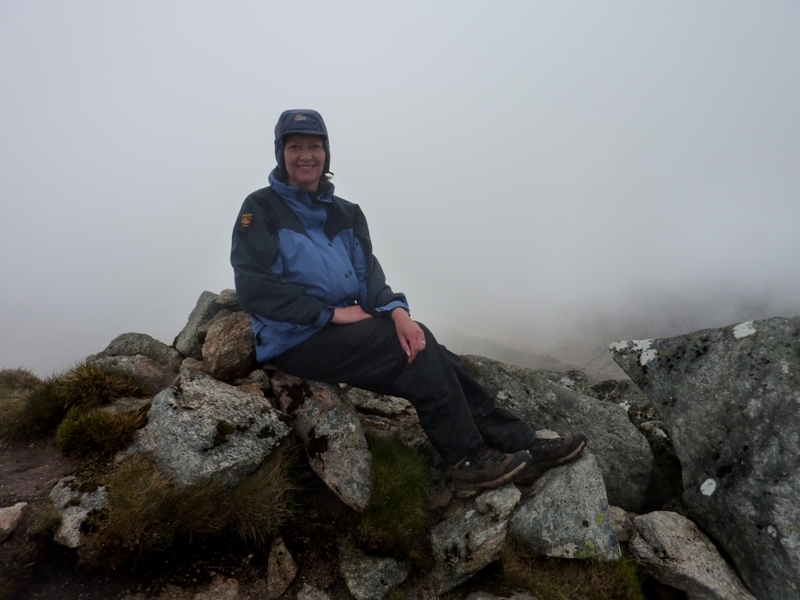 A'Mhaighdean might have the best views in Scotland, but we saw just cloud all day long. Not sure that it stopped raining all day long for that matter. Thank goodness for Sail Mhor Croft - the bunkhose by Dundonnell where we spent the evening comparing blisters. The path from Poolewe to Cairnmore starting just beyond the Caravan site has become badly eroded and boggy in parts and is not recommended. I suggest you use the easier going estate track to Kensary House starting from the Car Park beside the bridge at Poolewe.